Close more sales with this module! 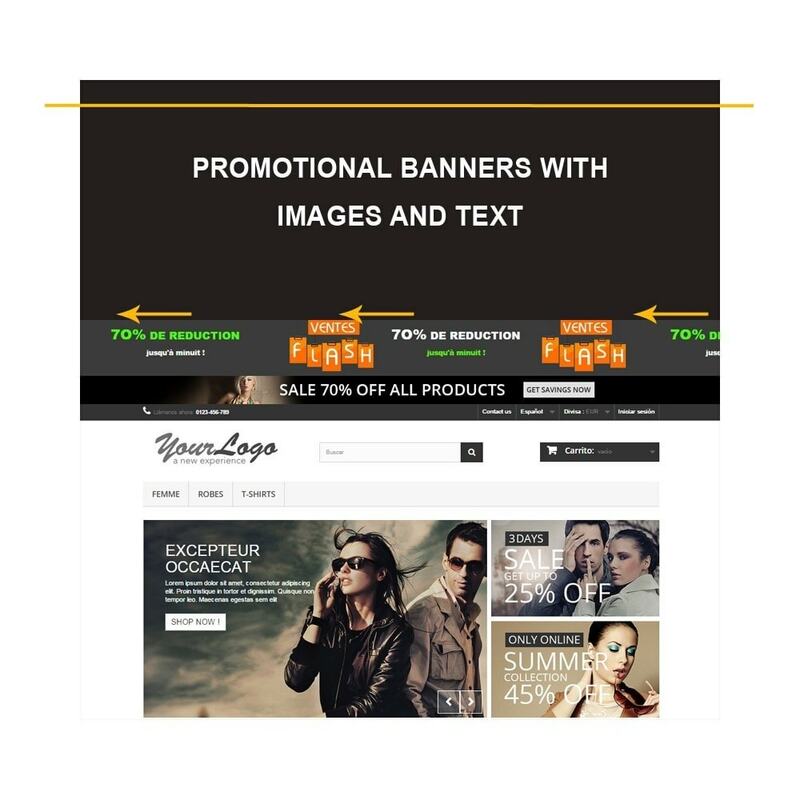 Inform your customers about flash promotions, sales, about a specific product or important events. 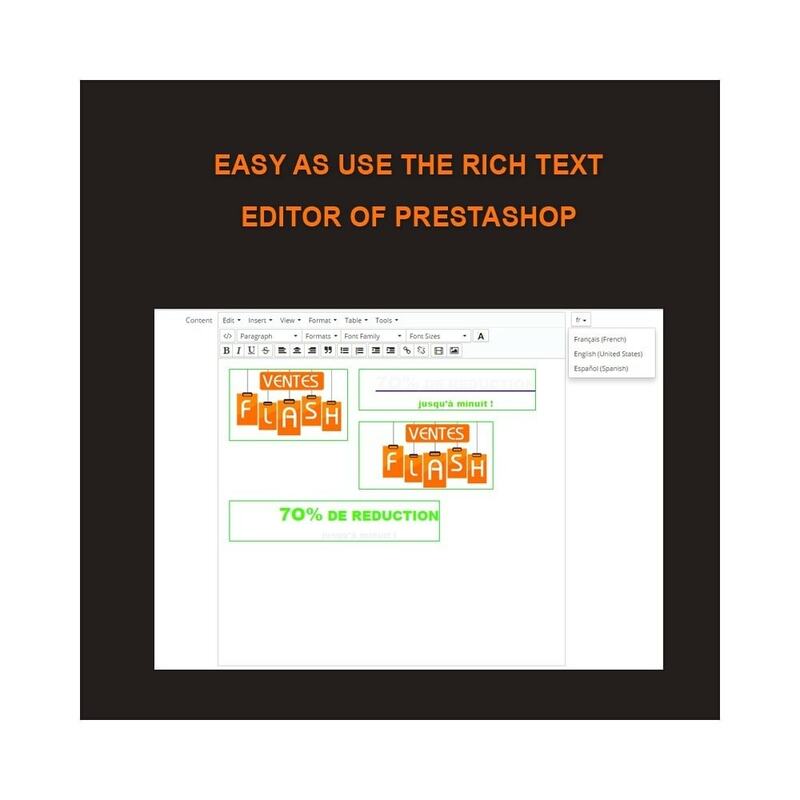 Very easy to use, you can create messages with images, text and links with the riche tex editor of Prestashop. 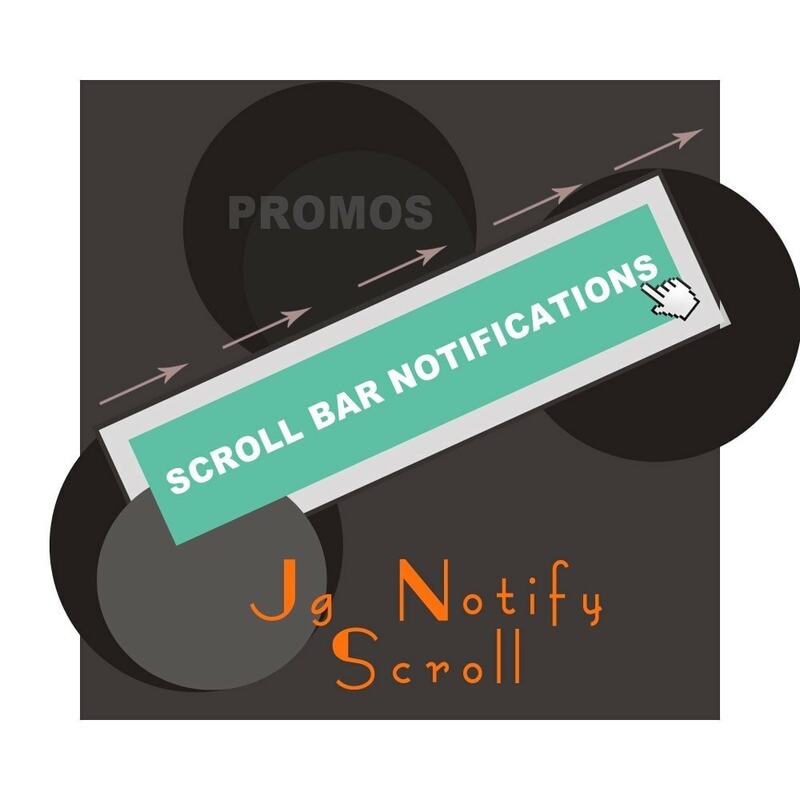 Jg Notify Scroll allows you to increase your sales. Drain your remaining stock! This module also allows you to animate your site and have a quick way to communicate with your customers !! Merchants often need to announce an event, a warning, an invitation to purchase or simply animate their store. Integrate your notifications with a nice scroll bar on the top of your site. Ability to enable or disable the message. 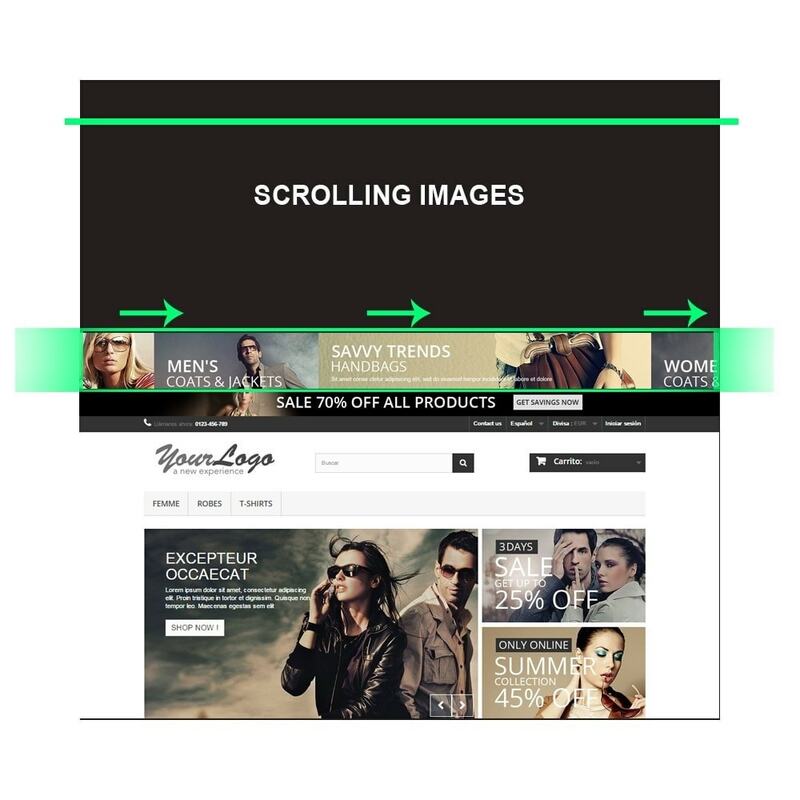 Possibility to choose the display mode: only on the home page or any pages of the site. Possibility to choose the auto scrolling mode :auto-scroll at the beginning, then stop if the mouse rollover message OR auto-scroll at the beginning, stop when the mouse hover, and auto-scroll again when the mouse goes away. Possibility to choose the auto scrolling direction: to the right, to the left, or back and forth in both directions. Possibility to choose the auto scrolling interval, to affect the speed of the animation. 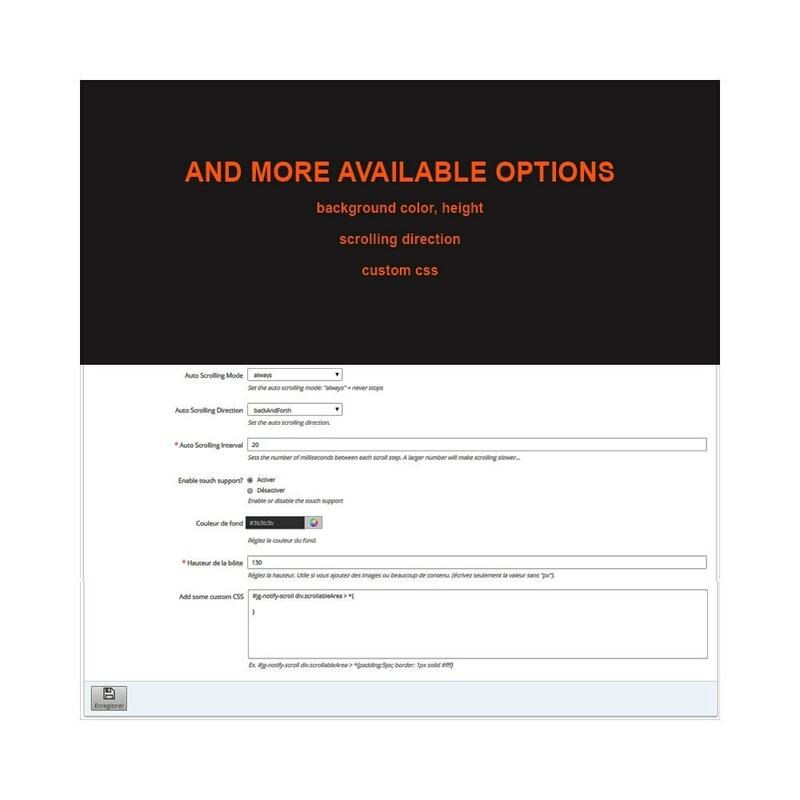 Ability to enable or disable the touch support (for mobile devices): If active, your clients can slide the bar manually (for example, to see several photos one after the other). If inactive, depending on the auto scrolling mode selected, on desktop devices, your customers will continue to scroll through arrows that appear on the right and left of the bar. Ability to change the background color of the bar. Ability to change the height of the bar. Ability to integrate custom css styles. This module will allow you to easily add a message from your back office, without having to modify the files of PrestaShop. The module uses WYSIWYG editor PrestaShop, TinyMCE, for your convenience when preparing your message. Order now this module that will serve you for all your business operations today and tomorrow!